â— What Are We Really Doing? â— How Well Do You Know Your Current Stores Operation? 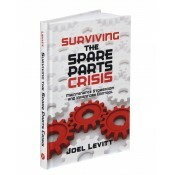 Notify me of updates to Surviving the Spare Parts Crisis Sale!